There are so many nail trends going around at the moment… from major gloss in the form of shellac to pointy claws, to half moon manis. However all of those require the salon equipment, or a super steady hand. 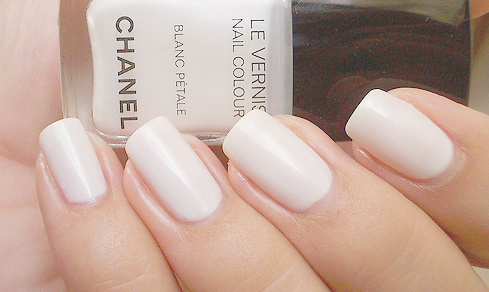 For nail looks that won’t cost you a fortune and will still look just as chic, read on. 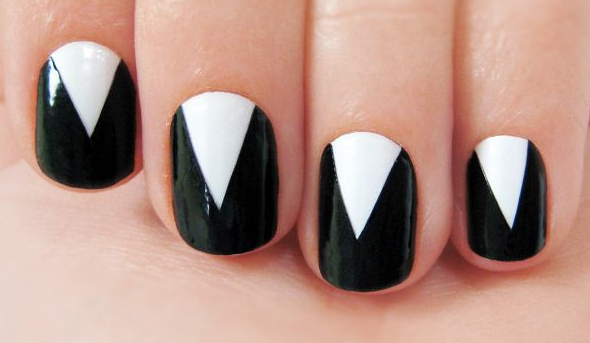 The triangle nail is sharp and sophisticated. You can use any colour combo, but the black and white definitely make a pop. For this mani, simply paint your nails in a coat with one colour, then either with a steady hand, or using tape (only use the tape when nails are fully dry) to outline a stencil of the shape of a triangle, paint the nails around, or over your tape stencil to reveal a trendy triangle when dry. 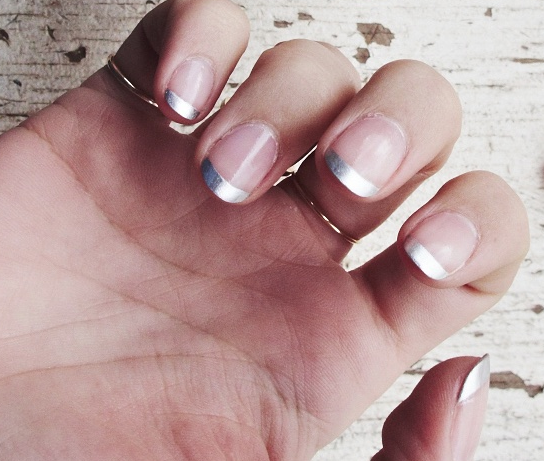 One girly, feminine and simple nail look is the metallic tip. Paint your nails with a pastel pink colour, and when dry, carefully apply a thin line of any metallic lacquer to the nails. This takes patience, but turns out so well! 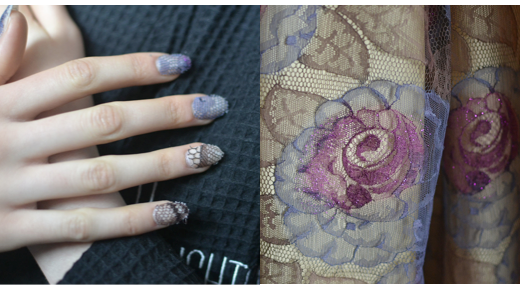 Indie, mysterious and definitely creative, the eye manicure is a great one. The toughest of the three, this look entails technique and time. 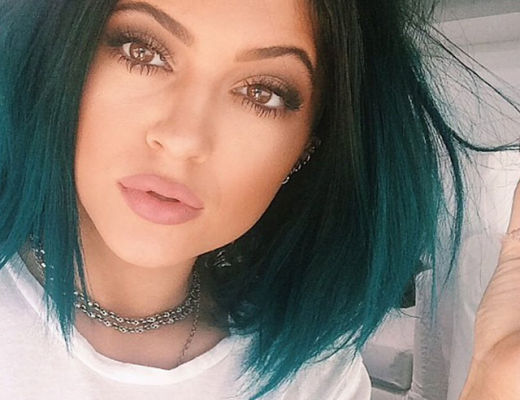 Start by painting a layer of any colour as your base (anything but white or black.) Then, do a half moon in white. This is pretty simple, just paint a crescent at the bottom of your nails, or use the curve of a band aid to help. Then, simply drop three circles into the centre of the half moon… a big blue dot, a medium black dot, and a small white dot. Finish with thin lines for eyelashes, and viola, you just got salon quality nails in your own house. Hope you liked these looks, leave a comment below!